We are red diesel suppliers in Aberdeen, and we can supply red diesel to any construction site, factory, industrial site, farm, etc. Red diesel is also called gas oil and can be used to run machinery; diggers and tractors as well as heating fuel for homes and business. 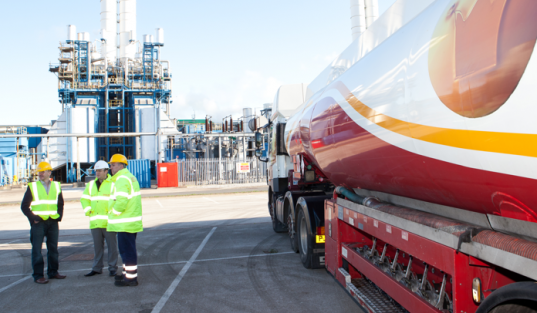 As red diesel suppliers in Aberdeen, we can deliver red diesel quickly and efficiently at a time and date convenient for you. We offer the best red diesel prices in Aberdeen – Buy now on 0845 313 0845 or find out more information. You can also obtain a free quote for red diesel in Aberdeenshire by filling in our fuel quote form. In today’s tough economy both in the UK and overseas everyone is looking for ways to save money. That is especially true when it comes to fuel for transportation which is why more companies are considering using red diesel fuel. Red diesel, which can be used in any vehicle with a diesel engine, is very alike in comparison to regular diesel except for the fact that while automotive diesel can be taxed, red diesel cannot. This represents a large amount of savings for those who use or decide to use red diesel. For the purpose of differentiation between vehicle diesel and heating diesel, a red dye is added to the heating diesel. Red diesel fuel has been proven to be an economical way for people to heat their homes and also to travel. As one of the leading red diesel suppliers in the United Kingdom, here at Crown Oil we can supply to any site within Scotland, and the rest of the UK. Red Diesel and Aberdeen go hand in hand, with Aberdeen having been graced with nicknames such as “the oil capital of Europe” and “the energy capital of Europe”. The area’s appreciation for alternative fuels and energies makes it a prime market for the selling of red diesel, not to mention the fact that the area has always had extremely rich oil reserves, to begin with. Red diesel, which can be used in any vehicle with a diesel engine, is very alike in comparison to regular diesel except for the fact that automotive diesel has a normal tax rate, while red diesel is a rebated fuel and costs much less due to the lower tax amount on it. This only represents a small selection of the areas we are able to cover around Aberdeen and Scotland. So even if you do not live in or around these locations, please still get in touch with us as we supply Red Diesel Nationwide on a 24/7 basis. So give us a call today on 0845 313 0845 to speak to one of our friendly team about your requirements.